This lovely lady rolled over 200 tamales! Greetings from the western side of the vast Lake Michigan. Vegpod has been on hiatus to seek out and thus enjoy some soul searching. Through travels afar, hindered language(s), bewildered metric conversions, and a much needed cold and dreary winter, I can proudly say I have grown within myself, and re-inspired my idled culinary skills. Deciding to leave the vegan fast food industry was long overdue, and I am pleased to say my ‘studies’ abroad have brought me back to the gleeful fine dining chef I had once been. I miss San Diego almost everyday, but am pleased to find myself with more of an ambitious objective. And where better to find it then in the dairy state. Wisconsin is mainly known for dairy & wheat production. So who could I possibly tempt with my vegans treats in a town of 50,000 cheese curd connoisseurs? In the past, the thought of running my own food booth at the local markets in southern California had passed through my mind quite frequently. Since the restaurant had kept me busy, day and night, the idea had passed quickly, never thinking to return until the right time. Here in Sheboygan, Wi. there appeared to be no better occasion then Earth Fests’ 20th Anniversary. Earth Fest is an annual festival showcasing an eventful two day weekend to help promote the environment through music, art, education, and food. 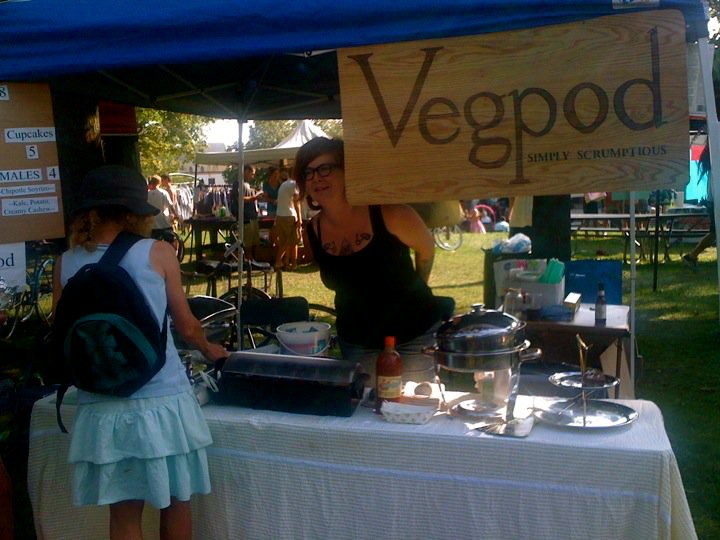 And every Earth Fest needs a little vegan love. The tamales proved to be the most popular by far, and with the hours upon hours worth of wo-man/man power that went into each hand rolled, and tied off cornhusk, it’s no wonder. They were by far the most labor intensive project I’ve ever seen attempted. Before this weekend I had definitely been under the impression that Sheboygan had no desire in attempting to try any vegan eats. 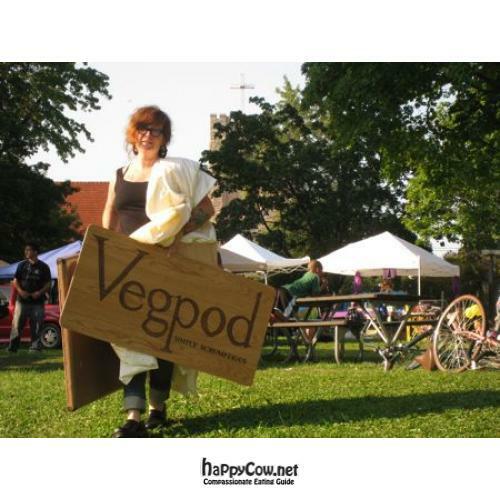 And though many of the Earth Festers traveled from other cities, I was definitely inspired to do more, feed more, and hence, start a vegpod food booth. There will be more to come possibly starting in spring 2011, and until then I will be trying to cater and shine my best through the wonderful Paradigm Coffee & music. A big thanks to Kate and all of the Paradigm crew for being so darn cool, and making me feel like there is a warm place to just be myself. And a super, I mean super, duper, duper, big thanks to Melanie, Jared and Erik. For without them, I would’ve lost a piece of my sanity. You guys ruled it! 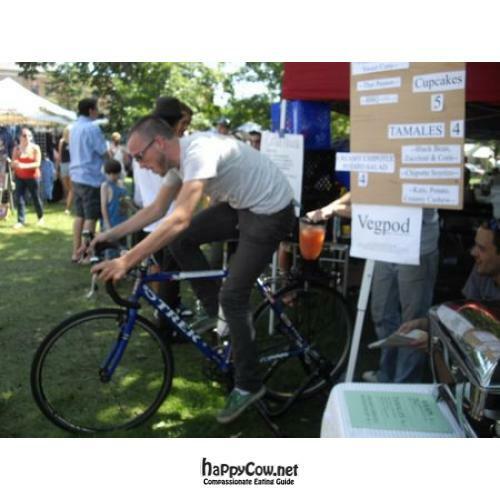 This entry was posted in Desserts, Events, Gluten Free, Summer and tagged earthfest, sheboygan, vegan, vegpod, wisconsin.